What is a 1031 Real Estate Exchange? by Matheson Russell May 31, 2014 Despite their complexity, these exchanges have the potential to save vast amounts of money. The Complete Guide to Your Washing Machine by Megan Russell July 23, 2013 The complete guide to saving money while washing your clothes. How much does my washing machine cost me? What temperature should the water be? What cycle should I use? What detergent should I use? What’s best for my clothes? How to avoid the vehicle sales tax in Virginia by David John Marotta November 27, 2012 "I would like to give my daughter my newer car, but the tax considerations are not simple." Mailbag: Should I pay off my mortgage early? by David John Marotta April 13, 2012 Some say don't make extra payments, take the tax deduction. Others say you need to be debt free. The Complete Guide to Your Clothes Dryer by Megan Russell June 18, 2013 The complete guide to saving money while drying your clothes. How much does my dryer cost me? Should I air dry? Can I line dry inside? Is there ever a case when my dryer is cheaper? What's best for my clothes? Naming A Foreign 401(k) Beneficiary? ($ ?s) by Matthew Illian March 14, 2013 You should have no problem naming your nephew as your beneficiary, but accessing the money from India after your death is more complicated. Why is Bob Cratchit So Poor? by David John Marotta December 12, 2005 At first glance, this story fills us with pity for the Cratchit family, always struggling to make ends meet. But is that the true story? 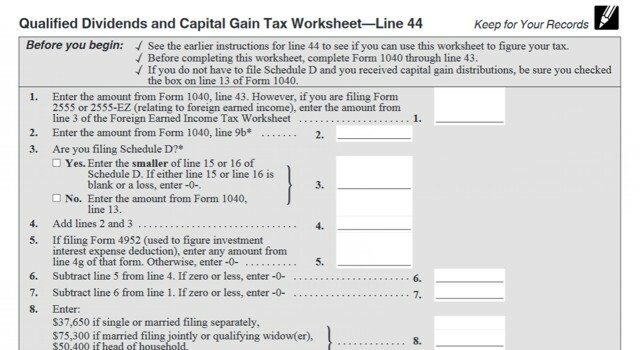 How Your Tax Is Calculated: Understanding the Qualified Dividends and Capital Gains Worksheet by Megan Russell May 16, 2017 The 27 lines, because they are so simplified, end up being difficult to follow what exactly they do. So, for those of you who are curious, here's what they do. Beneficiary Designations: Per Capita or Per Stirpes? by Megan Russell September 13, 2013 Before a grandmother passes away, both her sons predecease her. Left with only her daughter and grandchildren, depending on her titling one of three things may happen. How Much Umbrella Insurance Do I Need? by David John Marotta August 23, 2015 Umbrella insurance covers you for liability that goes above and beyond your auto and homeowners insurance. Can I Contribute to Both a SEP and a 401(k)? by Megan Russell June 1, 2016 SEP plans offer a powerful way to provide for your own retirement in the same way that 401ks do. Maximum Safe Withdrawal Rates in Retirement by David John Marotta June 9, 2008 Certain assumptions such as maximum safe withdrawal rate are critical in order not to compromise a long and successful retirement. The Complete Guide To Your Dishwasher by Megan Russell June 11, 2013 The complete guide to saving money while getting your dishes clean. Does hand washing save money? How much does my dishwasher cost? Should I pre-wash? How full should I fill my dishwasher? What do I need to hand wash? Fourteen Ways to Avoid Paying Capital Gains by David John Marotta June 1, 2014 The capital gains tax traps wealth in an investment vehicle requiring special techniques to free the capital without penalty. 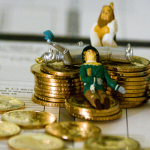 The Benefits of Saving and Investing Early by Austin Fey June 27, 2014 Any money you put away and invest now will have the longest time to grow, due to the magic (or actually, the mathematics) of compound interest. The House That Bogle Built by David John Marotta January 21, 2012 Learn about the index preferred by the person who invented index funds with the Vanguard S&P 500. And no, it isn't the S&P 500.